The court granted plaintiffs' motion to amend their infringement contentions to add 494 accused products and 21 exemplary claim charts after a stay was lifted because defendant was not unduly prejudiced by the amendments. "[Defendant] has not described with any specificity how it would be prejudiced by having to defend against the additional claims in this action, without discovery deadlines or a trial date, as opposed to defending against the claims in a parallel action. Indeed, [defendant] may benefit from the efficiencies of defending against the allegations in a single action. . . . Plenty of time remains to address [plaintiff's] new theories, regardless of how disruptive they are. Addressing these claims in the same action is more efficient and likely less burdensome. . . . The Court does agree with [defendant] that '[t]here must be some reasonable cut-off date after which [the plaintiff] cannot further expand the case simply because [the defendant’s] product cycle has outpaced the resolution of this case.' But because of the lengthy stay of this litigation and the relatively early stage at which the parties find themselves procedurally, that 'reasonable cut-off date' will be the date of this order." The court denied plaintiff's motion to exclude the testimony of defendant's damages expert regarding apportionment of the royalty base as unreliable and rejected plaintiff's argument that apportionment was inappropriate for process claims. "To the extent [plaintiff] argues [the expert's] opinions are unreliable because the asserted claims cover 'an entire process' rather than a multi-component product such that 'the EMVR, and the related line of cases' do not apply, such an argument misunderstands that apportionment is a fundamental concept in patent damages that is not limited to the EMVR context. This is because a 'key inquiry' in the reasonable royalty analysis 'is what it would have been worth to the [infringer], as it saw things at the time, to obtain the authority to use the patented technology, considering the benefits it would expect to receive from using the technology and the alternatives it might have pursued.'. . . [Plaintiff] cites no authority in support of its argument that apportionment of the royalty base is inappropriate where process claims, rather than multi-component product claims, are concerned." ​ The magistrate judge recommended denying defendant's motion to dismiss on the ground that plaintiff’s signal processing patents encompassed unpatentable subject matter because the asserted claims were not directed toward an abstract idea. "[Defendant] argues that the asserted claims of the [first] Patent are 'simply directed to a generic way of communicating information to determine which television program to display.' The Court disagrees. The [first patent's] claims are directed to overcoming problems specific to the distribution of streaming digital television programming and other digital content over computer networks. . . . [T]he claims of the [second] patent are directed at a receiver station that receives and processes signals. The particularized elements of those claims are similar to the claim elements in [Enfish, LLC v. Microsoft Corp., 822 F.3d 1327 (Fed. Cir. 2016)]. . . . [T]he [third patent's] claims address a specific technological problem rooted in signal transmission and processing. . . . Similarly, the [fourth patent's] claims are directed to a process of matching a 'signal processing scheme' to the variable format of a received digital signal to output television programming. Finally, the Court finds that the [fifth patent's] claims are directed to a method of handling information transmissions whose variable-length data must first be decoded before the data can be used to create video images. . . . The asserted claims recite patentable subject matter as defined by precedent interpreting § 101." ​ The court granted defendant's motion to exclude the testimony of plaintiff's damages expert regarding a royalty rate as unreliable for double-counting the duration of the rate. "[The expert] adjusts the hypothetical royalty rate upward by 5 cents to account for the fact that the hypothetical license would be 2.5 years longer than [a third party] license. However, he also opines that the hypothetical license would have resulted in a running royalty, as opposed to a lump sum. A running royalty supposes that the licensee will pay a per unit royalty. Without additional facts or testimony, a running royalty necessarily accounts for any longer duration through an increased royalty base. . . . There is simply no reliable support in the record for [plaintiff's] notion that [defendant] might pay more for earlier, guaranteed access to newer technology. In fact, such notion appears to be contradicted by other statements in [the expert's] report. . . . [T]he Court’s determination here that [the expert's] royalty rate improperly double counts is not a broader statement that Georgia-Pacific Factor 7 is per se inapplicable to a running royalty as a matter of law. . . . However, Plaintiff has not marshaled sufficient facts to show that such is the case here. . . . [A]ccordingly, [the expert] may not testify that an additional 2.5 years on the hypothetical license warrants an increase of 5 cents in his calculated running royalty." 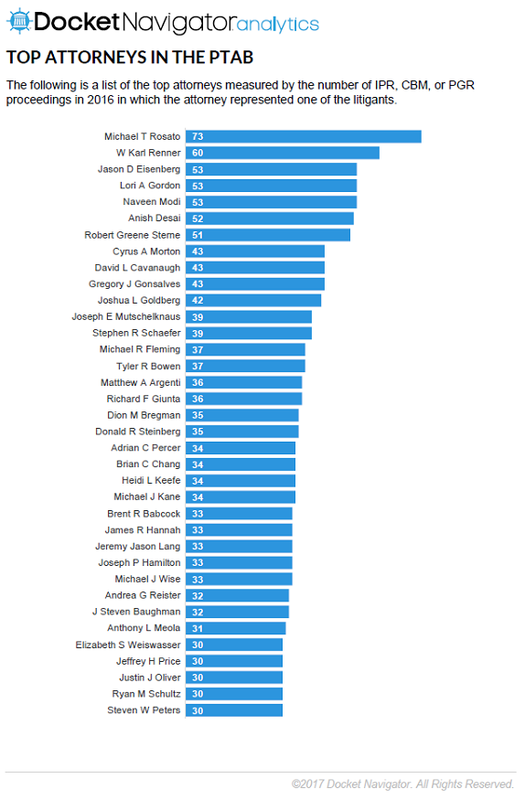 The judges chart has been updated to reflect the actual number of cases per judge, rather than their percentage of the overall cases. Please note that district judges and magistrate judges are many times on the same cases, so there will be an overlap of those judges' cases. 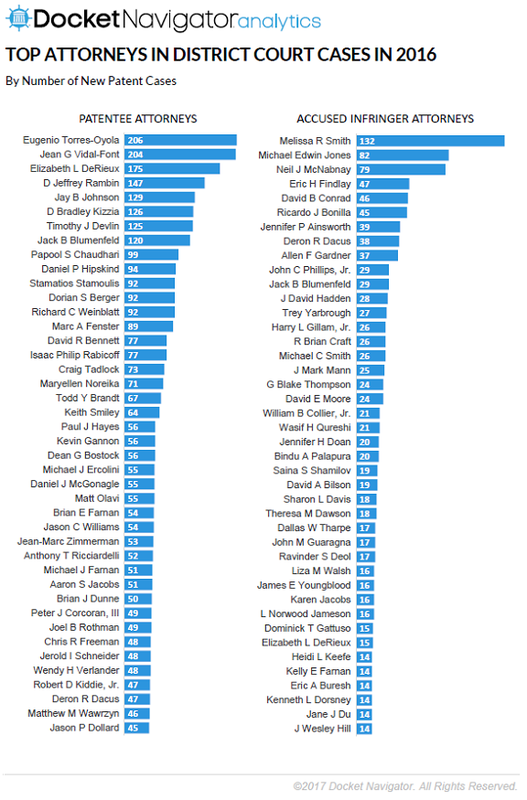 Therefore, the total number of cases will not equal the sum of each individual judge's cases. The court denied defendant's motion to dismiss plaintiff's willful infringement claim for failure to state a claim. "Willful infringement requires that the plaintiff plead that the defendants were 'aware of the asserted patent but acted despite an objectively high likelihood that [their] actions constituted infringement of a valid patent.' The complaint adequately alleges that the defendants committed acts of infringement with full knowledge of the plaintiff’s rights in its patents. That is sufficient." The court granted defendant's motion to dismiss plaintiffs' willful patent infringement claims for failure to state a claim. "Plaintiffs have failed to state a claim for willful infringement because they have failed to allege any facts suggesting that Defendant’s conduct is 'egregious . . . beyond typical infringement.' Plaintiffs have simply made the conclusory allegations that Defendant was aware of the [patent-in-suit] and that the 'continued offer, use, and promotion of its infringing social casino products . . . constitutes willful and egregious infringement behavior.'. . . [M]erely asserting that Defendant knew about the patent and continued its allegedly infringing activity is not enough to constitute willful infringement." ​ The court granted defendant's motion for summary judgment of invalidity because the asserted claims of plaintiff’s digital data remote mirroring patent encompassed unpatentable subject matter and found that the claims were directed toward an abstract idea. "[Plaintiff] contends that the claimed invention is not directed to an abstract idea because it is an improved system of copying data. . . . [T]he Court agrees with [defendant] that the focus of the claims is the abstract idea of backing up data. . . . It is true, as [plaintiff] observes, that the specification identifies several disadvantages of the prior art back-up methods. . . . But the claims do not support [plaintiff's] contention. The claims do not provide any concrete details that limit the claimed invention to a specific solution to the problem of remote back-up of digital data. . . . Additionally, the claims use existing computer functionality as a tool to better back up data and do not themselves purport to improve anything about the computer or network itself. . . . Rather, the claims rely on the ordinary storage and transmission capabilities of computers within a network and apply that ordinary functionality in the particular context of remote mirroring. The specification's insistence that the claimed invention is an 'advancement' over the prior art does not overcome the Court's conclusion that the claims as written focus on an abstract idea." The court granted defendants' motion to compel the production of documents regarding prior licensing commissions earned by plaintiff's 30(b)(6) witness on licensing because the evidence was relevant and not cumulative. "[The witness] is a licensing executive at [plaintiff] and [plaintiff's] designated corporate representative witness on licensing. . . . Defendants argue that [the witness's] financial stake in the case grows larger as the expert’s damages number increases. Accordingly, Defendants maintain that to effectively assess [the witness's] credibility, a jury needs access to the full details regarding how much [the witness's] compensation will be impacted by the contingent payment. . . .They further assert that [plaintiff's] damages expert relies heavily on [the 30(b)(6)] witness testimony, and thus these opinions hinge on [his] credibility. . . . Defendants have presented a reasonable explanation for why the documents sought are not cumulative: evidence of past commissions received by [the witness] goes to showing the extent of potential bias [he] may exhibit in this current case, based on how much he stands to gain relative to past commissions. In short, Defendants seek information to place [his] potential fee in the current case in context. The information currently in Defendants’ possession speaks to the fact of [the witness's] potential bias; the information they seek relates to the extent of this alleged bias." Following an order granting summary judgment that the patent-in-suit was invalid for lack of patentable subject matter, the court granted plaintiff's motion to enforce an earlier settlement agreement between plaintiff and a third party supplier who agreed to indemnify a defendant. "Regret is no basis in the law to undo a contract made. . . . Objective indicators demonstrate that a contract was made. First, the August 8th email clearly demonstrates that [the intervenor] believed an agreement had been reached. The August 8th agreement set out the payment terms and a July 21st email set out the boundaries of the license [plaintiff] would offer [the intervenor]. . . . [T]he stipulation filed with this court clearly indicates an agreement had been reached. It represented to this Court that the parties had 'reached an agreement in principle. . . .' That stipulation evidences that [plaintiff] considered the matter settled and that [the indemnified defendant], an interested and close observer of the negotiations, did as well. . . . [The Intervenor] points out there were open contract terms such as assignability, notice, choice of law, and confidentiality. Delaware law, however, explicitly provides that '[a] settlement agreement is enforceable if it contains all essential terms, even though it expressly leaves other matters for future negotiation.'" Following a bench trial, the court found defendants' purportedly redesigned products infringed plaintiff's radial coupler patent in violation of a permanent injunction because there was insufficient evidence of a redesign. "[Defendants] are certainly vague, or circumspect, about how this purported redesign came about. . . . An actual redesign – as opposed to some after-the-fact, illegitimate claim of redesign used to mask continued infringement – would have been a pointed and considered event that left a distinct trail and explanation from the redesigners and those who ordered it. . . . The evidence here was more than sufficient to demonstrate that there was no 'redesign' in 2008 (in the sense the Federal Circuit uses the term and people acting in good faith purposefully conduct themselves) that included changes to the thread angles. . . . [I]t is quite obvious that there is a global credibility problem with the [defendants’] case. As a result, it is difficult if not impossible to conclude that there was any 'redesign' or 'design-around' because, certainly, modifications done with an eye toward getting around the claims of a patent . . . would have been carefully done, and would have taken place on all the sizes of the accused devices within a brief time and not in dribs and drabs over the course of several months. . . . It must also be noted that [defendants] never mentioned to their customers that they made any changes at all, colorable or otherwise, to their couplers or the angle or number of interior threads. . . . Nothing that seems anything like a design around or changes amounting to a colorable difference happened here. . . . There can be no doubt that [plaintiff] is entitled to a discretionary award of attorneys’ fees under 35 U.S.C. § 285 and Octane Fitness. . . . [A]n appropriate exercise of discretion both warrants and justifies an award to [plaintiff] of treble damages . . . ."
The court denied defendant's motion for judgment on the pleadings on the ground that plaintiff’s wireless device pairing patents encompassed unpatentable subject matter because the ordered combination of claim elements contained inventive concepts. "[Plaintiff's] asserted patents relate to a specific approach to pairing a wireless device, such as a wearable activity tracker, to a 'client' and/or 'server.' . . . All of the asserted claims recite a method or system for pairing that involves three discrete entities: a portable monitoring device, a 'client,' and a 'server.'. . . [N]one of the claim elements, assessed individually, provide an inventive concept. . . . Nevertheless, the Court agrees with [plaintiff] that the ordered combination of claim elements, interpreted in the light most favorable to [plaintiff], contains inventive concepts. . . . [O]ne problem that confronted the process of pairing small, portable devices was that they were 'purposefully designed to eliminate keyboards and multiple buttons in order to satisfy other design criteria.' Tapping overcame this problem in an inventive way because it took advantage of the inherent, technical capabilities of the portable monitoring device -- its ability to detect motion with a motion sensor -- to provide a manner of validating the device that was different from traditional forms of input (i.e., buttons and keyboards). . . . [T]he fact that tapping appears in the prior art does not prevent it from supplying an inventive concept here. Second, the use of a server as a part of the claimed pairing process supplies an inventive concept." The court granted in part defendants' motion for sanctions under 28 U.S.C. § 1927 and the court's inherent authority for fees incurred in responding to plaintiffs' motion for terminating and disqualification sanctions. "[T]he Court found '[plaintiffs'] . . . suggestion [of a massive conspiracy by [defense] counsel] . . . entirely implausible.'. . . [T]he advancement of serious charges of misconduct involving an alleged conspiracy by multiple attorneys must be supported by evidence and not mere suspicion or coincidence -- especially when a party decides to file such an attack in Court, leveling potentially career-ending allegations in a public forum. . . . [Plaintiff] continued to pursue its accusations of serious misconduct even after its receipt and review of [defense] counsel's unrebutted declarations, which provided detailed, entirely credible explanations for their conduct. . . . Instead, [plaintiff] seemed to 'double-down' on its accusations, insisting that the attorney declarations lacked credibility and continuing to pursue 'powerful' sanctions. [Plaintiffs'] continued pursuit consequently required [defendants], and the Court, to prepare for a lengthy hearing on the Sanctions Motion, and later for the Court to decide that motion (and now [defendants'] Fees Motion as well). . . . From that point forward (i.e., after [defendants filed their opposition]), [plaintiff] multiplied the proceedings, in an unreasonable manner, increasing costs, by intentional misconduct." 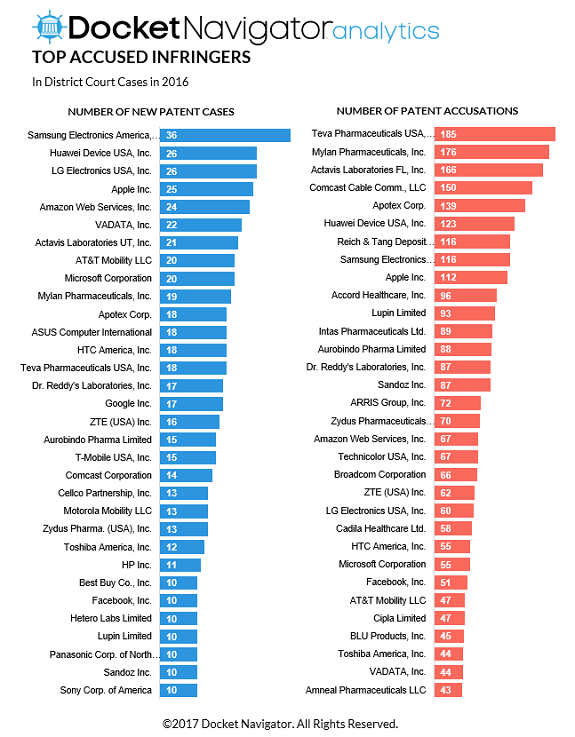 What is a Patent Accusation? 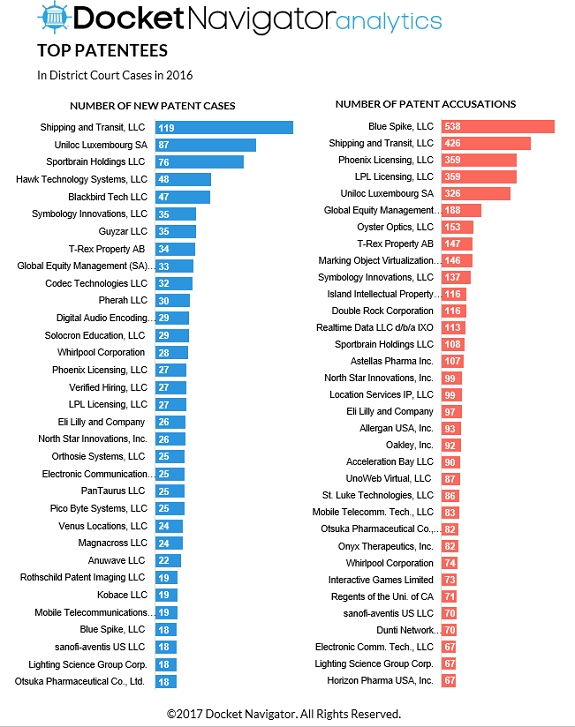 A Patent Accusation is a more granular way to measure the volume of litigation activity than counting the number of cases or litigants. As used in this report, the term means a request for relief in a U.S. district court, the ITC or the PTAB (AIA proceedings), the resolution of which could determine if a patent has been infringed or the patent’s validity or enforceability. For example, a civil case with one plaintiff asserting one patent against one defendant would involve one patent accusation, whereas a case with one plaintiff asserting 5 patents against 10 defendants would result in 50 infringement accusation. Multiple claims involving the same parties and patents (e.g., a claim of infringement and a declaratory judgment counterclaim of invalidity or unenforceability) are counted as a single accusation. 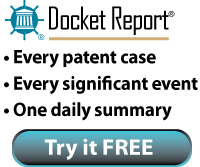 In a PTAB proceeding, each challenge to the patentability of a patent would create one patent accusation. Following a bench trial, the court found that plaintiff's patent for changing the physical properties of a structure by concurrently applying multiple energies did not encompass unpatentable subject matter because the asserted claims were not directed toward a natural law. 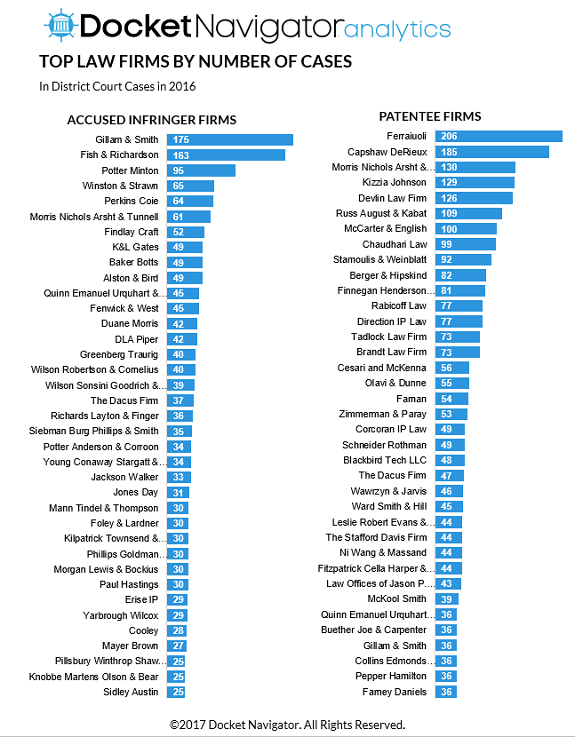 "Although the asserted claims of the [patent] encompass descriptions of natural laws, such as the mathematical concepts embodied within the Larson-Miller relationship, the government misinterprets the [Alice Corp. Pty. Ltd. v. CLS Bank Int’l, 134 S. Ct. 2347 (2014)] test. The relevant inquiry is not whether the claims encompass ineligible subject matter, but whether the claims are 'directed to' ineligible subject matter. . . . [T]he asserted claims . . . are directed to a new and more efficient method for treating metal parts to change their physical properties, removing, reducing, or affecting (and in a few instances introducing) stresses or other characteristics. While the application of the Larson-Miller relationship may be an abstract idea in some contexts, that is not the case here. . . . Rather than attempting to claim the Larson-Miller relationship itself, the [patent] draws upon the Larson-Miller relationship as a baseline or predicate for applying two energies concurrently above an activation energy of the material to be processed." 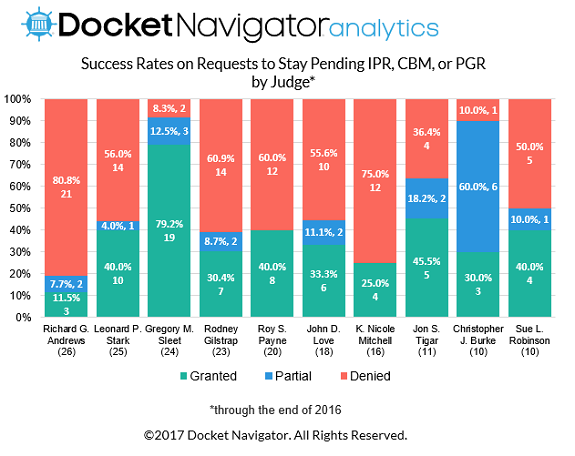 The court denied defendants' motion to strike portions of a reply report of plaintiff's expert for introducing previously undisclosed opinions because the prejudice to defendants could be cured by ordering plaintiff to bear 2/3 of the costs of sur-reply reports. "[T]he Court agrees with Defendants that the [reply report] to some extent exceeds 'the proper scope of a reply' and that portions of it are subject to being excluded under Rule 37(c)(1). . . . There is sufficient time in the approximately 11 months before trial to ameliorate the prejudice to Defendants. . . . [Plaintiff] opposes paying Defendants' expert costs, but the Court agrees with Defendants that the costs of having to largely 'redo' their experts' analysis in light of the [reply report] should not be borne entirely by Defendants. [Plaintiff's expert's correction of an] error has had a prejudicial impact on Defendants, including by delaying their ability to complete expert discovery, and it will cost Defendants additional time and money to respond fully and fairly to the [reply report]. 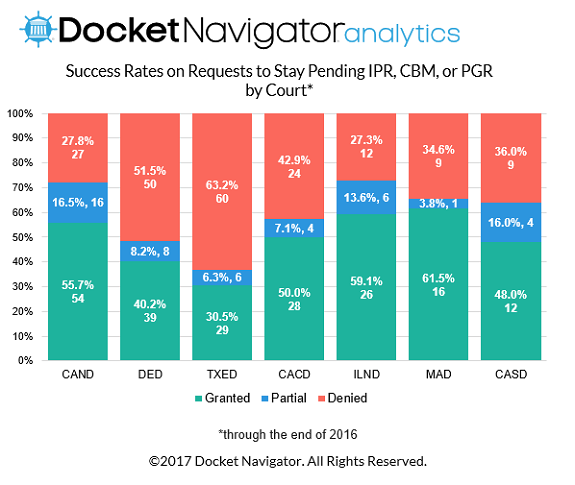 Accordingly, the Court will require [plaintiff] to pay two-thirds of the reasonable expert costs incurred in connection with the preparation of sur-reply reports." The court denied defendant's motion to compel the production of communications between plaintiff and the prior owner of the patents-in-suit that plaintiffs withheld as privileged and rejected defendant's interpretation of the common interest doctrine. "[A]s long as the communications between buyer and seller concern the strength and enforceability of the patents, they are primarily for a legal purpose and are protected under the common-interest doctrine. . . . Many of the communications . . . are between non-attorneys. [Defendant] . . . argues that the common-interest doctrine only applies to communications between attorneys who are sharing information, while acknowledging, however, that 'there is a split in authority' on this point. As a fallback, [defendant] argues that even where clients with a common legal interest are discussing privileged advice among themselves, the discussion must be directly and explicitly 'at the direction of counsel' in order to be privileged. [Defendant] disregards the realities of communications between attorneys and clients and between non-lawyers who share a common legal interest. . . . [T]he proposed rule is simply unworkable in a case like the present one, where multiple attorneys and executives are working together, with the help of assistants who gather or communicate information for them." The court granted defendant's motion to exclude the testimony of plaintiff's damages expert regarding a reasonable royalty as unreliable for relying on a rule of thumb profit split. "In calculating a reasonable royalty resulting from a hypothetical negotiation, [the expert] determines [the parties'] respective maximum and minimum 'economic positions.' His analysis results in no overlap (i.e., the maximum amount [defendant] is willing to pay for a license is less than the minimum amount [plaintiff] is willing to accept). As [the expert] notes, 'both parties would need to compromise in order to arrive at a reasonable royalty.' He then proceeds to choose a rate between [defendant's] maximum and [plaintiff's] minimum. . . . [T]he Court agrees with [defendant] that [the expert's] failure to expressly account for varying pricing structures and the lack of a sufficiently detailed explanation for how he reached the 'compromises' set out in Table 15 renders [his] reasonable royalty analysis, as presently articulated, insufficiently reliable." Following summary judgment of laches and equitable estoppel, the court denied defendant's motion for attorney fees under 35 U.S.C. § 285 because plaintiff's litigation positions were not unreasonable. "If these defenses were so obvious and irrefutable, it seems to me that Defendant would have been diligently pursing dismissal based on these defenses from the outset. Instead, Defendant included these defenses in its answer along with a plethora of other defenses, but did not file a appropriate motion. . . . If this case were as objectively unreasonable as Defendant now claims, Plaintiff’s delay in asserting infringement would have been the only discovery needed. . . . [I]t wasn’t until over two years after this case was filed, and after thousands of pages of briefing on an array of topics which proved to be unnecessary, the parties addressed the laches or estoppel issue. . . . The point is, if Plaintiff’s claims were as objectively unreasonable and 'exceptionally weak', as Defendant now claims, Defendant would have sought to have the case dismissed years ago. Instead, over a million dollars in attorneys fees were incurred by both sides while the case proceeded. The irony is that Defendant’s delay in asserting the defenses resulted in the accumulation of fees for which they now seek reimbursement." The magistrate judge recommended granting defendant's motion to dismiss because the asserted claims of plaintiff’s money transfer system patents encompassed unpatentable subject matter and found that the claims were directed toward an abstract idea. "The summary of the invention in each patent describes the 'primary objective' of the invention -- 'to provide a method and system for sending money transfers such as cash between a sender and a remotely located recipient without a pre-established relationship, such as an account link, between the parties.'. . . [T]he claims differ in the types of hardware and the means used to transfer the funds. Importantly, however, the patents do not describe the type or configuration of the hardware as inventive. . . . The patents-in-suit describe a way in which funds can be simultaneously transferred between accounts without a pre-established link between those accounts. According to the patents, this is accomplished through an 'electronic escrow agent.' Whether the Court considers this concept 'fundamental' or not, it is impossible to distinguish it from other business methods found to be abstract."